Why She’s Top 40: She eats adversity for lunch. Dr. Michiko Maruyama arrives to our interview in the lobby of the Mazankowski Heart Institute on a scooter. “They call me scoots,” she says, and her smile doesn’t waver through an hour of conversation. She’s an aspiring heart surgeon. And a toy designer. Her son is now just over a year old. She designed the card game, Doctors Against Tragedies, which has the same lack of subtlety as Cards Against Humanity. The game tackles the opioid crisis, and is part of a non-profit campaign Maruyama launched to bring more awareness to the issue. More than 200 Canadian medical professionals took part. Oh, and she’s doing this all while she’s fighting cancer. As a child, Maruyama loved to design toys. She’d use a glue gun and cardboard to design elaborate forts. She’d sew sleeping bags for her stuffed animals. That love of toys never died. So when she was taking pharmacology at the University of Alberta – and hating it – she realized industrial design was where she wanted to be. Much to the dismay of her parents, she left pharmacy behind. Then she was diagnosed with cancer. She admits she was “deathly afraid of needles and not a fan of blood,” so, of course she’d go into medicine. She had to learn to inject herself with drugs, so she got over her fear of needles, and began to see blood as a life-giver, so her squeamishness subsided. A mentor encouraged her to see all the design that goes into medicine. She went to the University of British Columbia’s Prince George campus – “I like the north,” she says – and was inspired when she saw a beating heart for the first time. 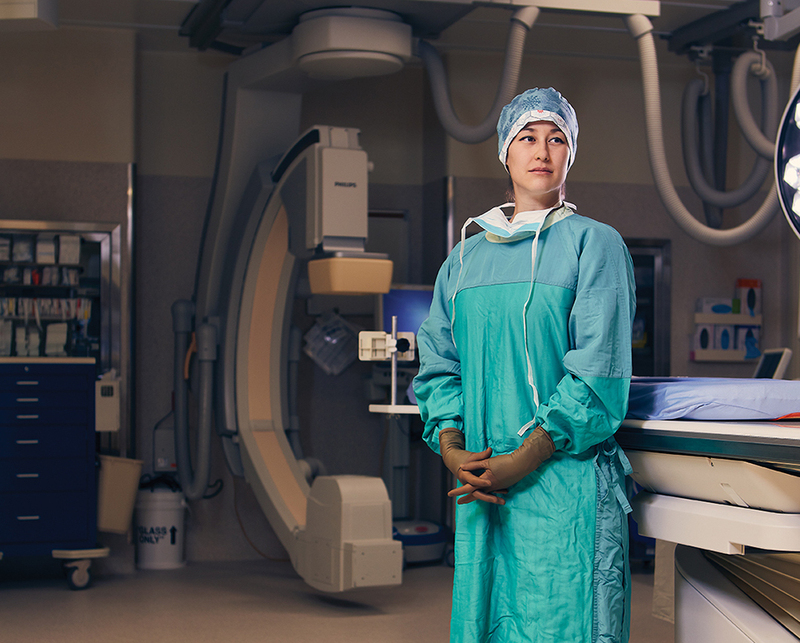 She realized that cardiac surgery was her calling. But her love of toys and art has not waned. Her illustrations have been featured in textbooks around the world. She has made a series of paper toys that give kids the chance to better understand medical procedures and their bodies, and made the designs open-source, so they can be downloaded by anyone in order to reach kids around the world. Then, when Maruyama was working on her masters in industrial design and her residency, she and her husband, Blake, learned that they were expecting. She adjusted her cancer treatment, and when their son Jake was born, he was blessed with the middle name, Danger. So, how does Maruyama keep it all together? “Functional insomnia,” she says.